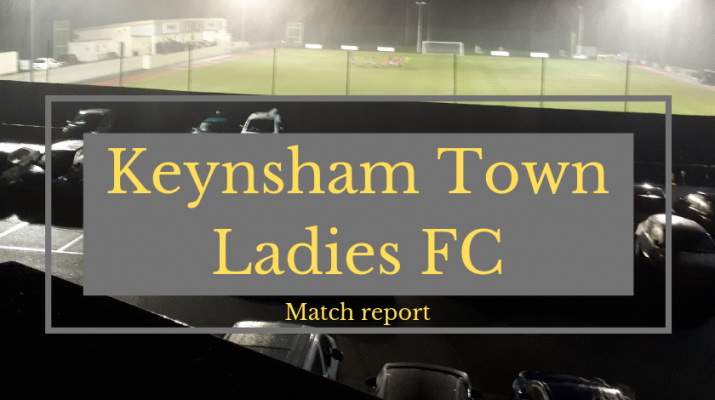 Keynsham followed up on their 4-0 win against Swindon with another 4-0 win, this time against local rivals Larkhall Athletic. Ellie Curston fires in a early warning shot three minutes in, but the keeper tips it wide at full stretch. A minute later the Larks keeper denies Corinne Yorston from a well struck freekick. Charlotte Haynes, Keynsham’s number one, was called into action a few minutes later. A good flick on put the right winger in on goal, but she saves bravely at her feet. Keynsham’s winger Keka heads over after a flowing move on the left, then Larkhall’s keeper saves well from a Yorston long range shot. Larkhall were breaking on the counter attack and number 8 tried to chip the Haynes but it lacked power and the defence clears. Shortly afterward there was a mad scramble in the box for Keynsham. There were around four or five chances to score and at least one penalty appeal; yet Larkhall threw bodies in the way and eventually cleared upfield. The pressure finally paid for Keynsham as they took the lead. Good play by Kirsten Rendall down the right releases Kaka who skips a challenge in the box. She manages to lay it off to Bartlett in the 6 yard box who doesn’t miss from there. Momentum is firmly with Keynsham and Laura Williams blasts wide after a Justine Lorton shot was blocked. Bartlett gets her second of the afternoon before half time. Kaka battled well on the half way line to release Bartlett. She gets in on a one on one and the keeper saves, but it was parried over her with Bartlett on hand to poke home. Moments later Lorton and Yorston are blocked in the same move but the resulting corner is taken short and the chance is lost. Then Williams releases Bartlett but her first time shot is wide as the half draws to a close. Lorton has the early chance as both teams have come out with more intent. Larkhall are now starting to create chances with number 10 firing wide from distance five minutes into the half. Williams was released by Bartlett on the left but her shot is parried out for a corner, which came to nothing. Larkhall’s keeper saves well from Williams again after Keynsham are starting to create more on the left with Lorton’s through balls. There is a good point blank save again on the left this time from Yorston, with the full back joining in more attacks. Keynsham scored their third of the afternoon with around twenty minutes left. Haynes kick up field is carried a little by the wind allowing Kaka to nip in ahead of the defenders as they allowed the ball to bounce. The Spaniard applied an easy finish past the on rushing keeper who was left stranded. Moments later Kaka combines with Bartlett for a quick counter attacking one two but Bartlett’s shot is wide. The final goal of the game was with little over ten minutes left with a counter attack. 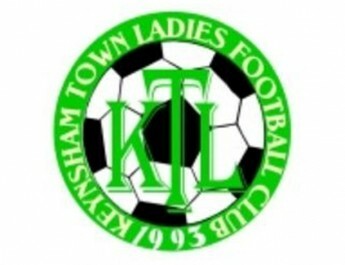 Keynsham released Lorton who had the pace to take a touch and a yard on her marker. She the finishes well to make it 4-0 from outside the box, much to the delight of the whole squad. The next Keynsham game is on Sunday 31st March down at the AJN Stadium!